This week on a new episode of Rosie’s Kitchen Ms. Martone gets into an Italian classic, Sausage and Broccoli Rabe. This is a dish you would normally get at a high end Italian Restaurant but now thanks to Rosie you can make this at home this week for your family. 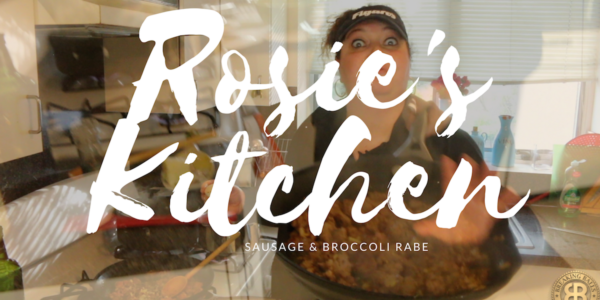 Every time Rosie gets in the kitchen she pours her heart and soul into the food and you can feel it in every bite. Make Sure to Subscribe so you can be notified every time there is a new episode to add to your recipe book.